After plastering a room, you are faced with a blank canvas. It is then up to you how many layers of detail you choose to incorporate or reintroduce. Adding these details ultimately adds cost to a project however, this in turn adds character which can often increase the value of a property. 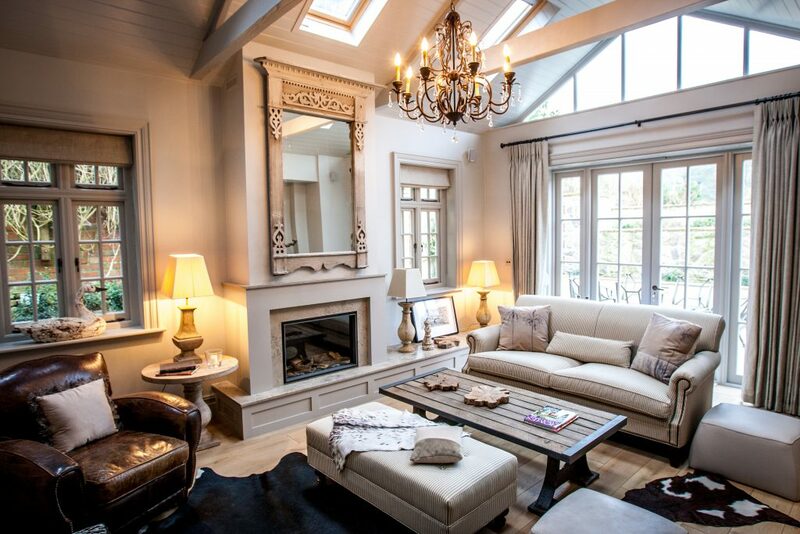 It is for you to decide the balance between cost and value returned and of course if these typically ‘period features’ are to your taste and are indeed something you wish to add to your home. A base board or skirting board originated simply as way to protect the walls from accidental knocks and wear and tear. They are also a great way of hiding unsightly wall edges or uneven floors. 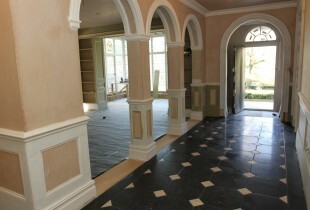 Architraves on the other hand are simply a decorative feature to embellish the wall around a door or window. 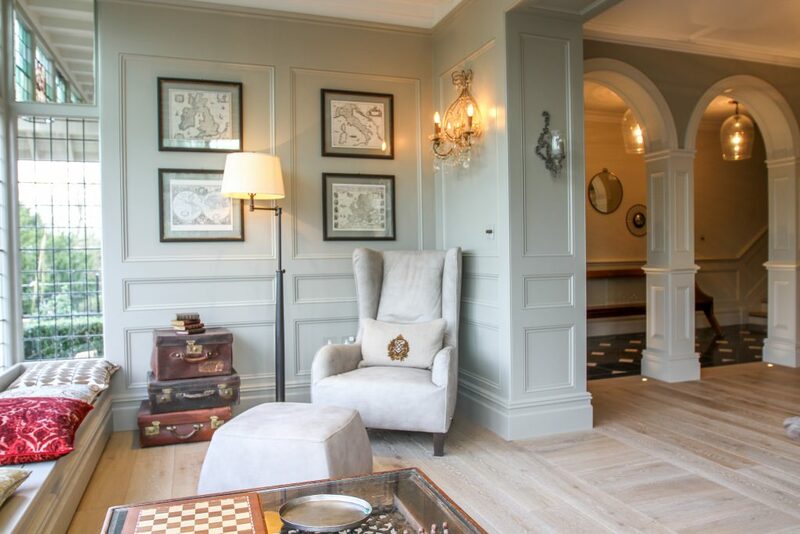 Similarly to skirting boards, panelling was introduced as a way of protecting the wall from day to day traffic. This is a typically a feature of Victorian architecture and design however, it was originally developed in ancient times to insulate stone rooms and make them feel more comfortable. 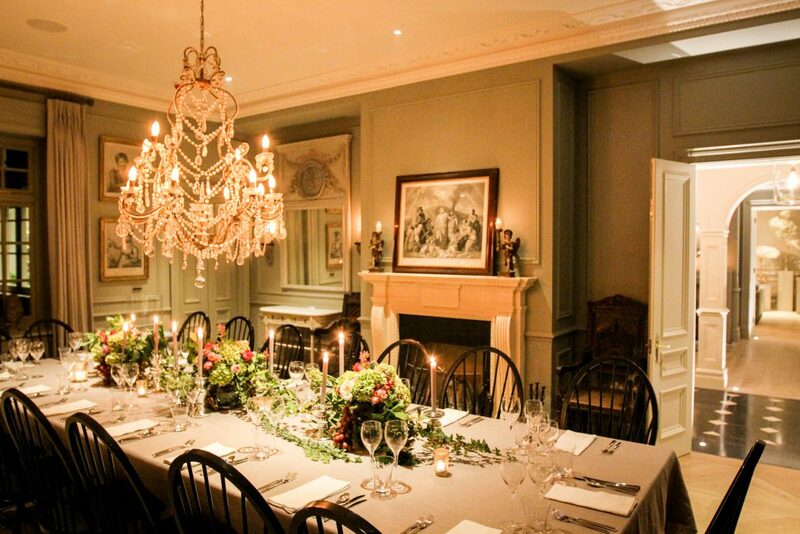 Dado Rails were a feature of Georgian interior design, again to also protect walls, as it was customary in this period to lean dining room chairs against walls away from the table when not in use. Picture rails were introduced in Victorian times, they align with the height of the windows and were used as a way of hanging pictures off the wall without the need to create holes for picture hooks. 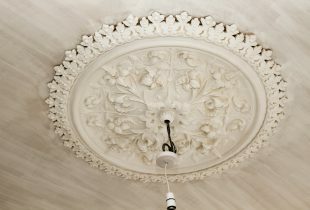 It is interesting to note that the Ceiling Rose originated in the Roman Era and for centuries has offered the promise of free speech and secrecy when suspended above a meeting table. Over the centuries is has become a feature of domestic settings and are typical room embellishments from the Edwardian and Victorian era. They have since become popular ways to disguise electrics for a light fitting. 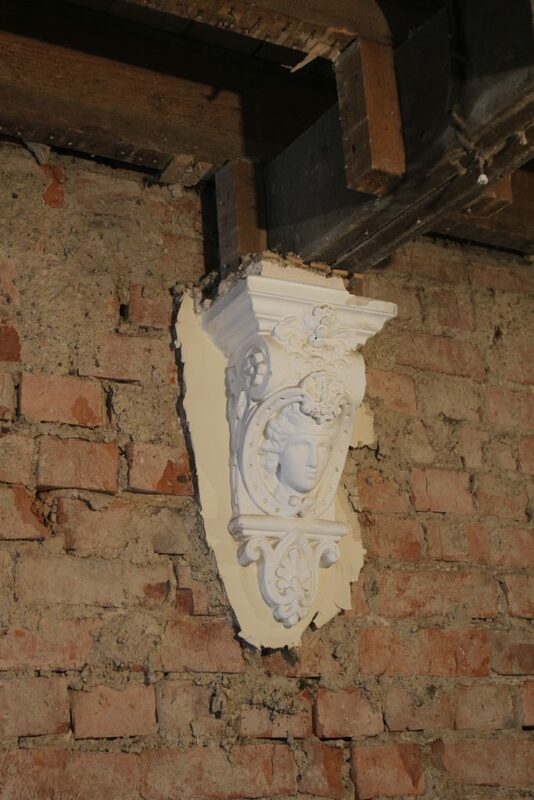 We worked hard to preserve the original figurehead throughout the 10-month project stripping back to the brickwork and re-plastering. It was certainly worth it. 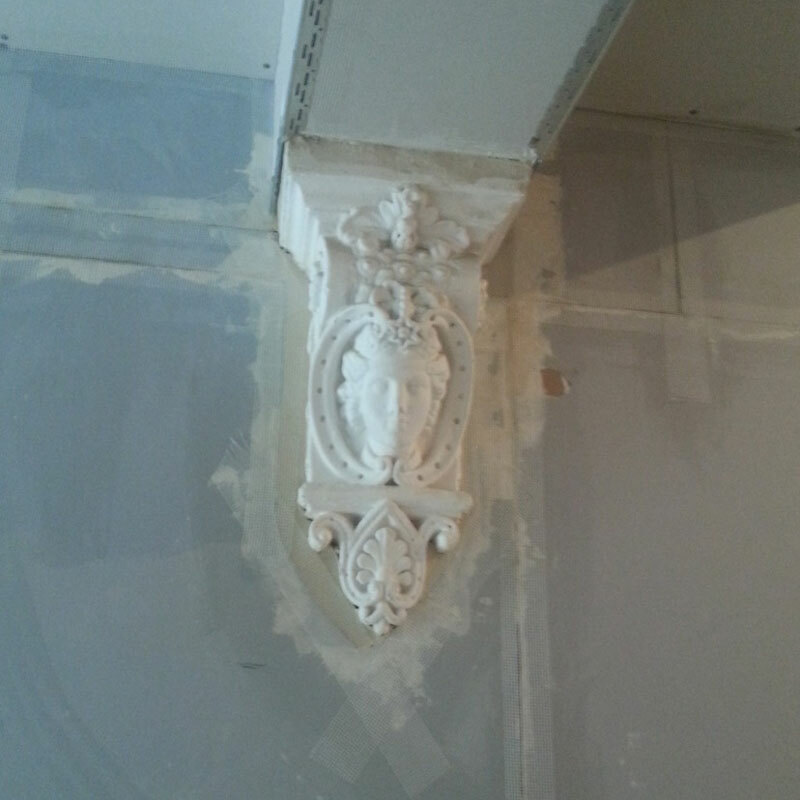 If you are thinking of restoring a Victorian house to its original splendor, be sure to protect and retain as many of the decorative features like this stunning figurehead, during the development process. 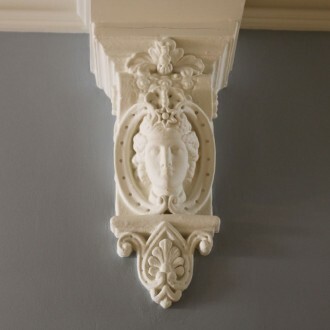 In Architectural terms a corbel is defined as a weight baring piece of wood or stone that juts from a wall. Decorative corbels such as this one, are simply there for aesthetic purposes and were particularly popular in Victorian architecture and were features used to enhance anything that looked like it needed support such as shelves, mantelpieces or in this case a beam. which was later adopted by Victorian architects who popularized decorative hallway tile design. 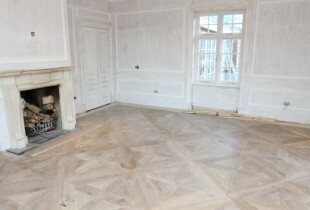 The same client also designed this floor herself, a style known as Parquet. 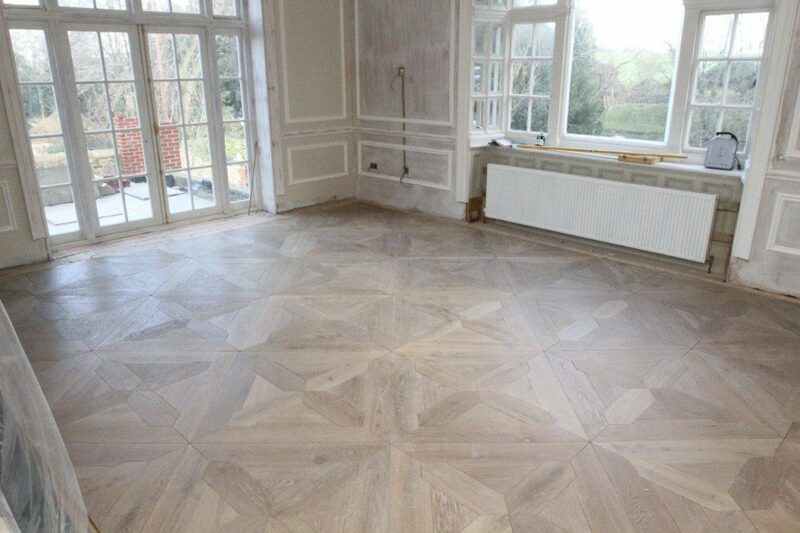 This style of flooring first became popular in the 17th centaury and was favorited as a good alternative to marble for the next several centuries. The boom in textile production in the 1930’s meant that carpet soon over took it as the flooring de jour and many parquets were covered or destroyed. 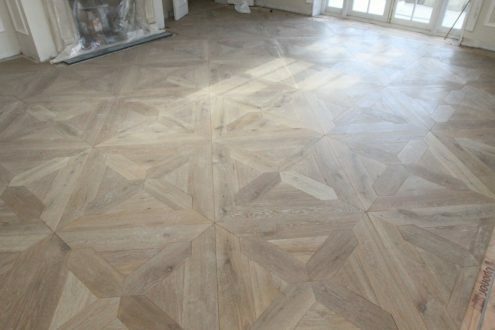 Happily, in the past few years the appeal of designing a bespoke pattern, completely unique to a property has seen Parquet make a return to British homes.